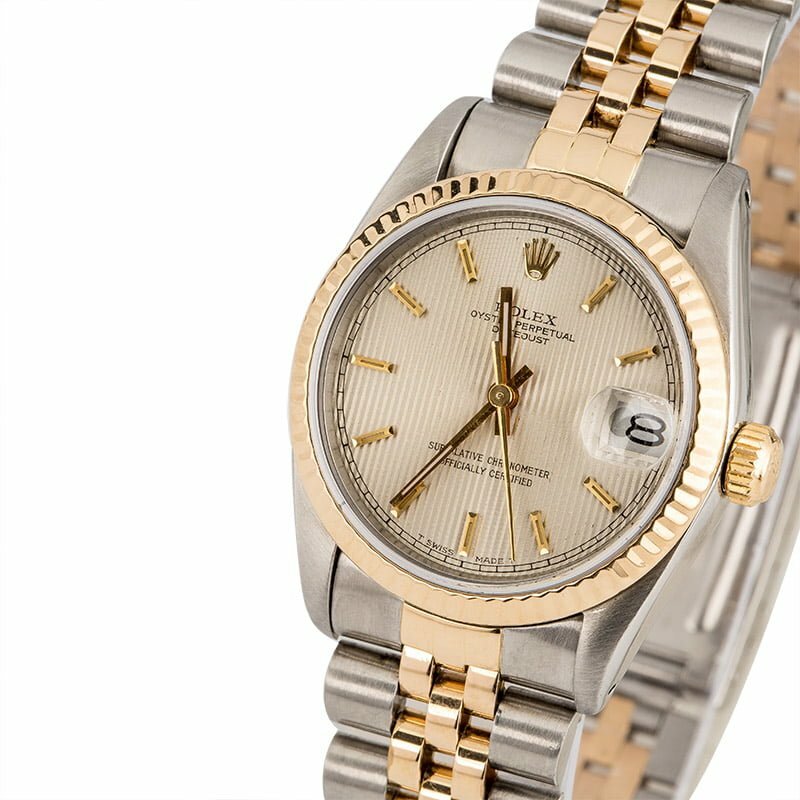 The preowned Rolex 68273 gold and steel mid-size Datejust will appeal to women who seek a bold yet elegant statement piece. Measuring 31mm in diameter, the case is larger than traditional women's Rolex watches and will make a bold yet flattering statement on the wrist. 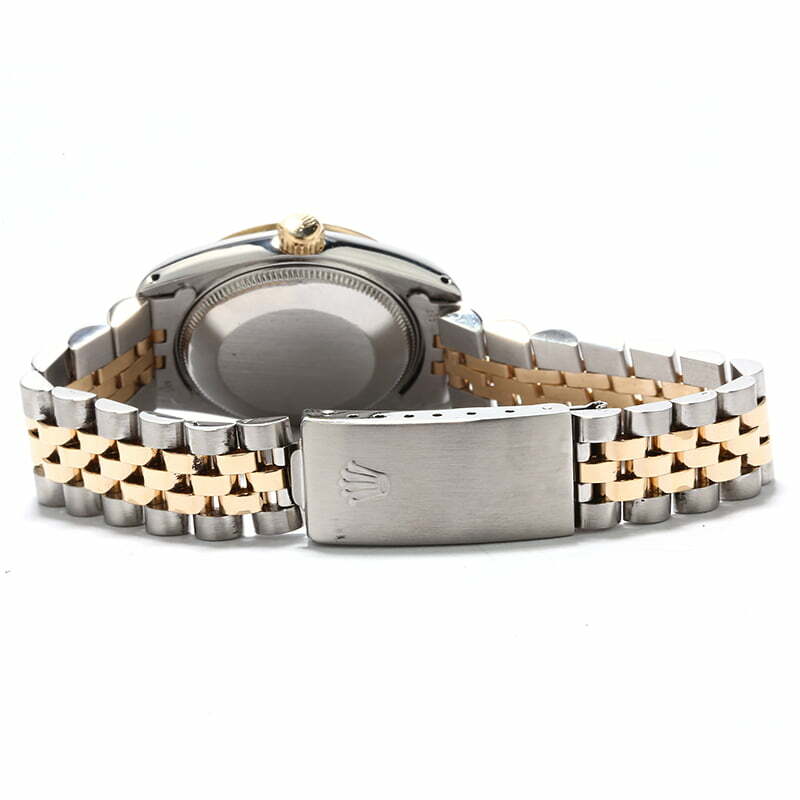 Similar to other Datejust watches, the case is waterproof up to 330 feet and houses a perpetual movement with self-winding technology and an automatically changing date display. 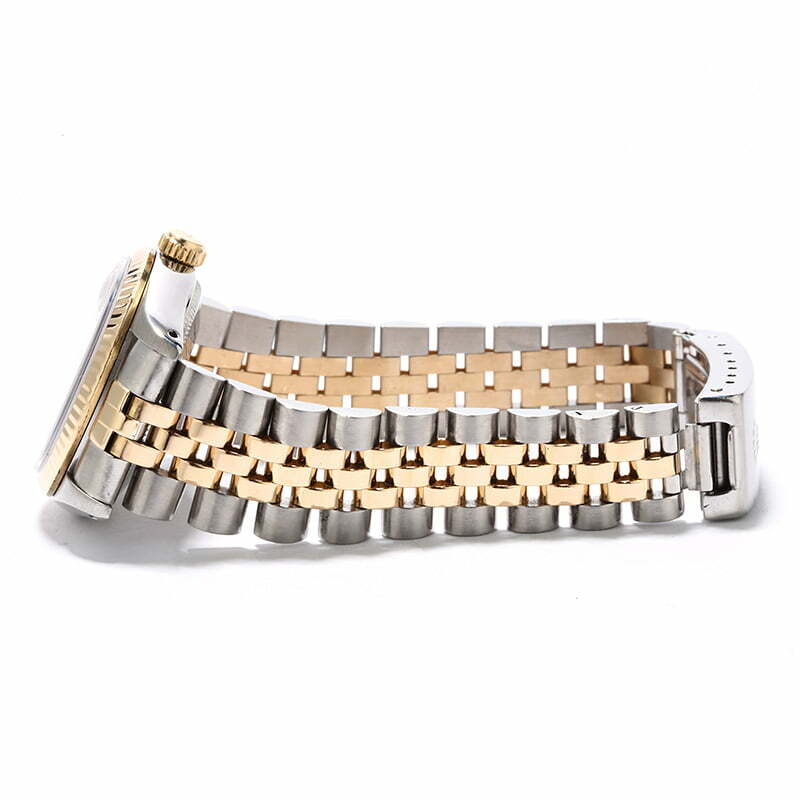 The case also features an elegant fluted bezel and wears on a traditional five-piece link Jubilee bracelet. This particular two-tone ref. 68273 displays the time on a lovely tapestry dial set with yellow gold indices and central hands. Purchased the watch for my wife. We are celebrating our 55th wedding anniversary in June. She loves the watch, a bit larger than her first Rolex. Great price for a very nice watch. Great experience buying this watch. Very fair price for a beautiful watch in great condition. Very accurate review- timepiece is in very fine condition and operation of movement is flawless. Very pleased with the customer service and buying process as well. Will be doing business with BOBS again. I love love love my new Ladies Datejust! I prefer a slightly larger watch, so the 31mm mid-size fits perfectly. It not only looks great, but is so versatile that I can wear it everywhere. I saved so much money by buying pre-owned that I'll be back for another one soon. Highly recommend!